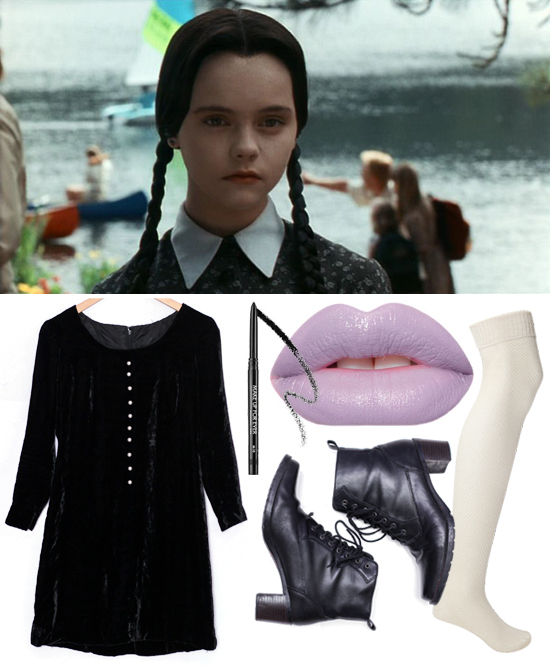 Wednesday Addams // Any goth-esque character is easy and solid. Last year, Wednesday Addams was a hugely popular costume idea. This year, get some friends together and be the whole cast, or be a mall goth, or even Robert Smith. Goth is gold. Velvet Pearl Button Dress and Black Lace Up Boots, Mini Penny Vintage // Makeup Forever Artist Liner in Black, Sephora // Chinchilla Lipstick, Lime Crime // Over The Knee Socks, Forever21 // + perfect pigtail braids — wig or otherwise! 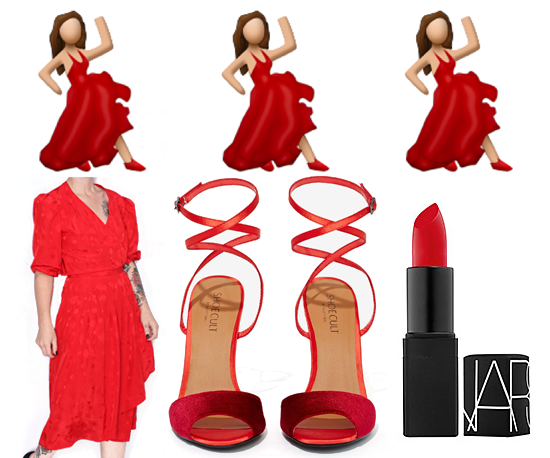 Red Dancing Emoji // If you can make any emoji work as a costume, do it. Be the dancing twins, or the cry-laughing smiley. Some of them are as easy as painting your face. 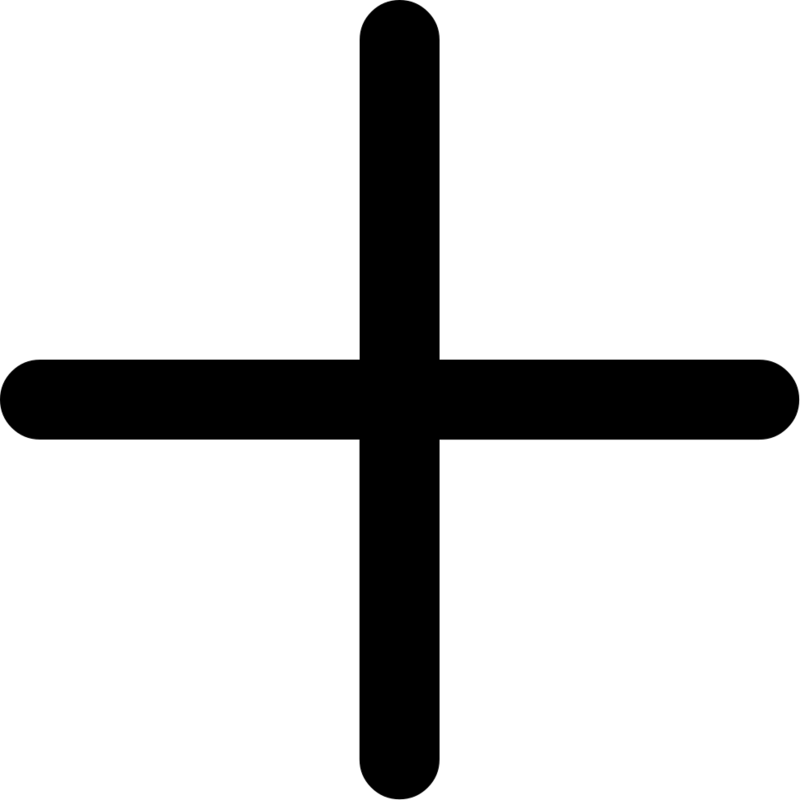 But others, like the red dancing emoji, can be pulled off with some red. Red Surplus Silky Dress, Mini Penny Vintage // Shoe Cult Let's Celebrate Velvet Heel, NastyGal // Red Lipstick, NARS // + a convincing pose! 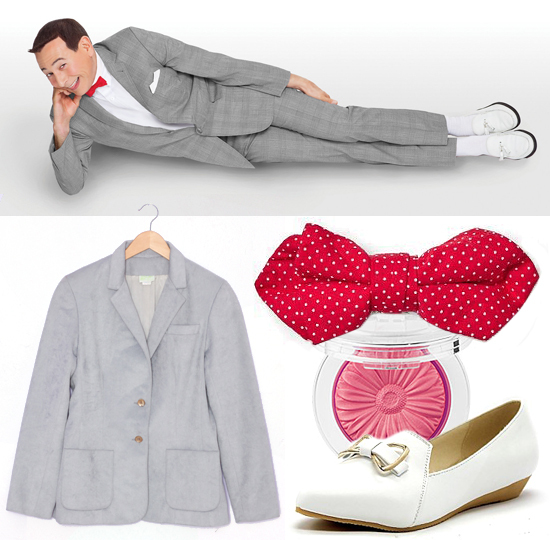 Pee Wee Herman // Who doesn't love Pee Wee Herman? It's a fun pop culture costume that doesn't get old. Bonus points if you're riding your bicycle on Halloween! Light Grey Suedette Blazer, Mini Penny Vintage // Dot Clip on Bowtie, Gap // Cheek Pop in Plum Pop, Clinique // Flat Heel Loafers, Light in The Box // + an adoring photo of your bicycle. 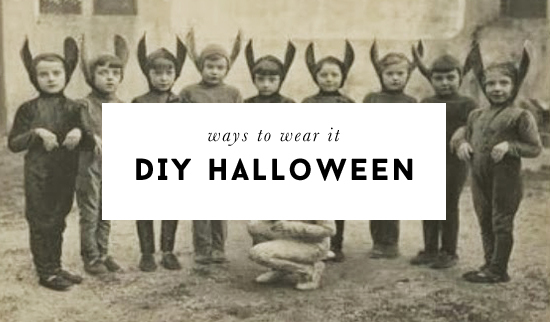 What is your costume plan for this year? I have mine almost entirely pulled together! (shhh... it's a secret).